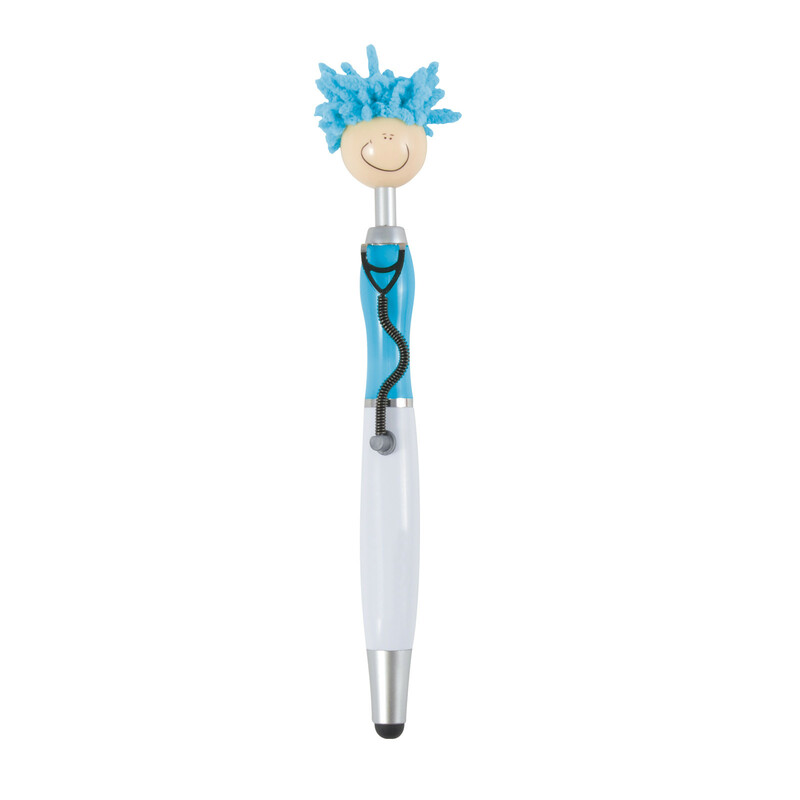 A blue mop top doctor pen with smilie face, microfibre hair and a stethoscope clip. Fun for all! 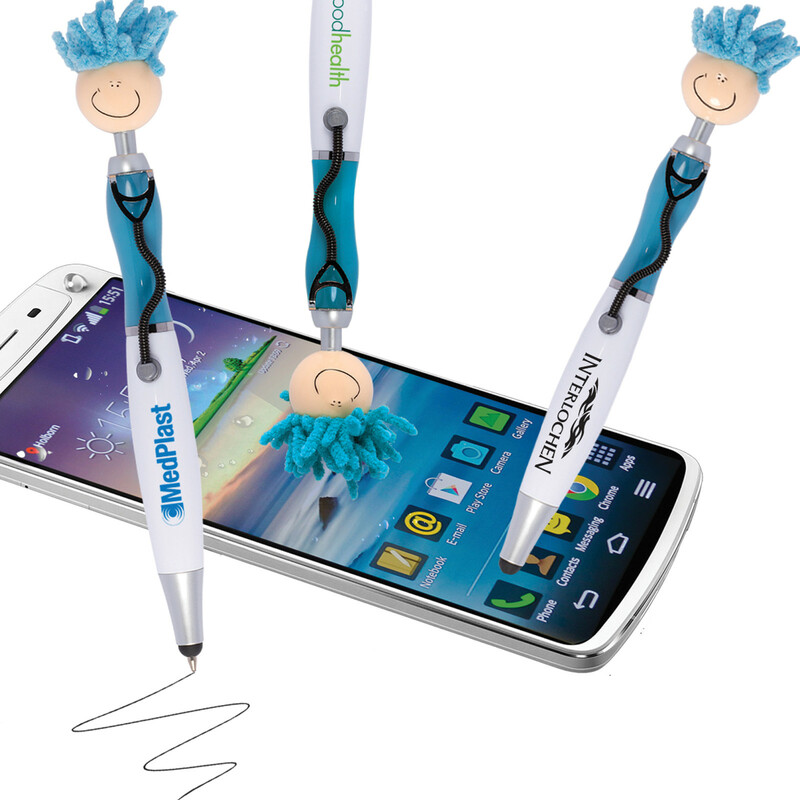 The ideal pen for anyone in the medical industry! These fun, quirky pens have push button functionality, a smilie face and microfibre hair as well as a stethoscope clip. A great way to brighten people's day and make the kids smile. Fun for all, these pens have a fantastic writing distance of 2100 m and tungsten carbide ball for improved performance and Nero pigment ink.